We are very proud that the results are so overwhelmingly positive. Like this you show us that we do a good job. But it doesn’t keep us from trying to improve further. We are currently working on processes we identified as mistakes from our side and we are still working on increasing the response rate. The response rate is extremely high, however not 100%. Therefore the results might be biased, rather positively than negatively. At this point we would like to thank everyone who filled out the survey. We know that satisfaction surveys are handed out everywhere, they can be time consuming and sometimes they are annoying. Therefore we reduced our survey to the essentials. Only 4 questions, so it takes appr. 10 sec to fill it out. We hand it out after every visit, because every visit can be different. Only surveys with a high response rate are reliable. 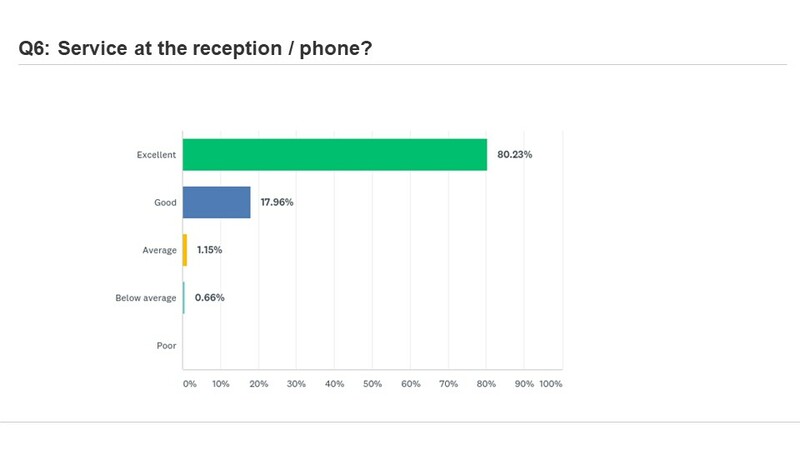 A response rate over 60% is way over the usual response rates. Like for any other company feedback is very important to us. But there is a difference: Patients are not customers. Patients visiting a doctor have a medical need to do so. 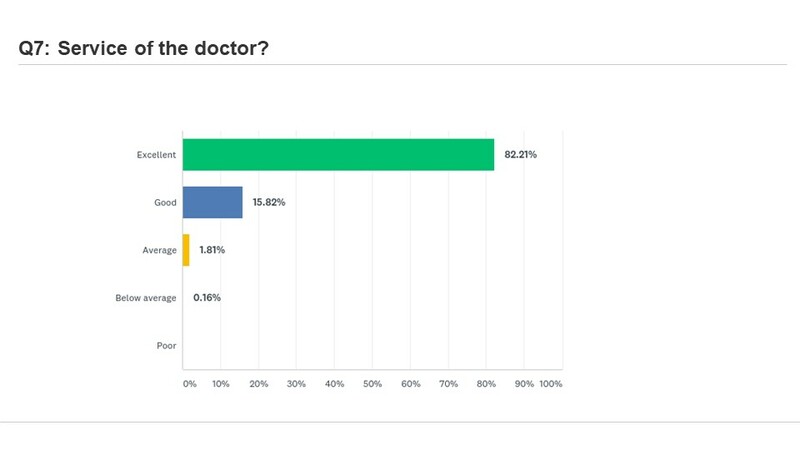 Patients don’t really ‘want’ to visit a doctor. This is a completely different situation compared to a regular customer who, lets say, ‘wants’ to shop shoes in the mall. Sometimes patients suffer from very serious or even deadly diseases. They have to face difficult life situations. Under this circumstances we understand that patients have higher expectations even regarding ‘small’ processes than usual customers. Therefore we ask you for your feedback to identify mistakes we do and work on them. Yes, most probably every single day. Since everyone working in a medical clinic – from the doctor, over the nurse and the management to the receptionist – is a human being, human errors are happening. We know that we do mistakes, we are sorry and we are working hard to eliminate them. However, there might be mistakes we are not aware of. In these cases we need the survey and your help to figure out what we are missing. Thanks again for your help. The usual feedback rules apply. Feedback should help the other one to improve. Insulting, racist or bullying feedback is useless. Only real, constructive and honest feedback helps. Fake ratings, fake patient names and entries written by competitors on social media are of no value. 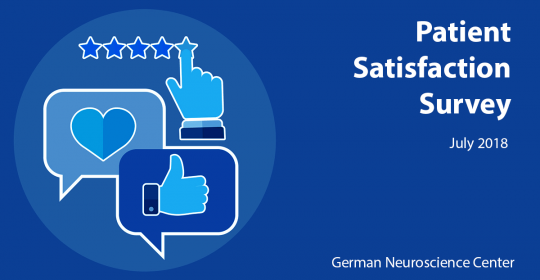 Therefore we rely only on the feedback of our survey in the clinic or direct feedback from existing patients via email or phone. 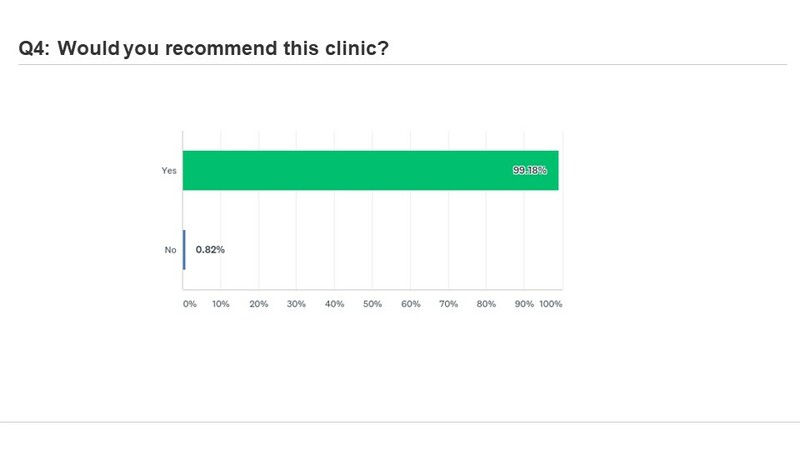 Only like this it is guaranteed that the feedback comes from a real patient who really visited the clinic. Negative but reasonable feedback might be challenging but it belongs to the nature of every business and it is a chance to grow. Your center of excellence in the fields: Neurology, Neurosurgery, Psychiatry, Psychology, Counselling & Biofeedback.